What Is Wrong with Canola Oil? Canola is one of the most widely consumed culinary oils in the world. It is extracted from a descendant of the rapeseed plant. 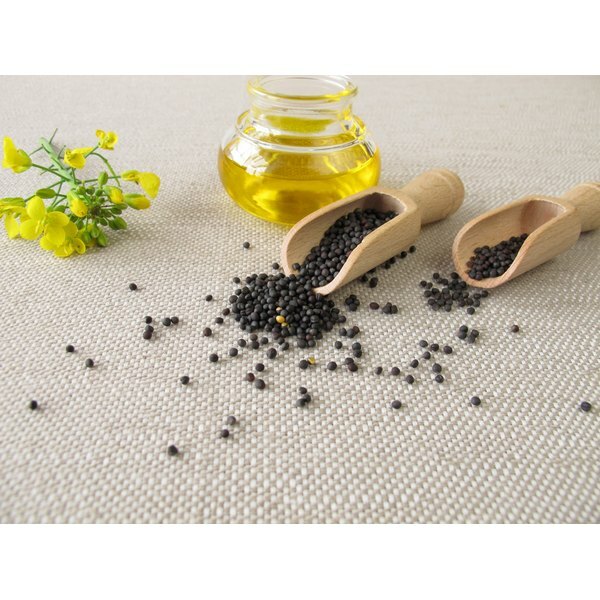 True rapeseed oil is used only for industrial purposes because it contains substantial amounts of a fatty acid associated with heart damage called erucic acid. In the 1970s, Canadian growers created a hybrid whose oil contained less than 2 percent erucic acid, and the Canadian Oilseed Processors Association trademarked the name "canola." In 1985, the U.S. Food and Drug Administrations granted it GRAS -- generally recognized as safe -- status. Canola oil is lower in saturated fatty acids and higher in mono- and polyunsaturated fatty acids than other common cooking oils; therefore, the FDA approved the health claim “heart healthy,” which the canola industry uses in its marketing. But the common belief that such fatty acid profiles are beneficial to cardiovascular health may be open to question. In 2014, a meta-analysis published in the "Annals of Internal Medicine" indicated that saturated fatty acids may not be the culprit in heart disease and that there is no proven benefit of unsaturated fatty acids. A small, balanced intake of essential fatty acids known as omega-6s and omega-3s supports good health. Most plant oils, including canola, provide higher amounts of pro-inflammatory omega-6s relative to anti-inflammatory omega-3s. Further, during the extraction process, the oil is heated, which causes oxidative damage to the essential fatty acids. Damaged oil has a rancid odor that is disguised by deodorizing and bleaching it before packaging it for sale. A 2014 review article published in "Vascular Pharmacology" discussed the detrimental effects of heated oils on cardiovascular health, such as vascular inflammation and arteriosclerosis. About 90 percent of the canola crop grown in the United States and Canada is genetically modified, according to the Non GMO Project. GMOs are engineered to withstand heavy spraying with pesticides and herbicides and are not routinely tested for safety by the FDA. Therefore, unless your canola oil is labeled “organic,” it is likely contaminated with toxic chemicals. What’s more, unless the oil is labeled “solvent-free” or “expeller-pressed,” hexane, a flammable solvent derived from petroleum, has likely been used in the extraction process. Although the Canola Council of Canada admits that most canola seeds are genetically modified, it claims that the oil technically is not since only proteins contain genes. However, since GMO plants are designed to tolerate spraying of pesticides and herbicides, the chemicals could be present in unknown quantities in the oil. Therefore, if you use canola oil, opt for organic, cold-pressed varieties only. If you choose to avoid canola oil, read labels because it is present in many prepared foods, including those sold in health food stores. CanolaInfo.org: What Is Canola Oil? Annals of Internal Medicine: Association of Dietary, Circulating, and Supplement Fatty Acids With Coronary Risk: A Systematic Review and Meta-Analysis. Non GMO Project: What Is GMO?